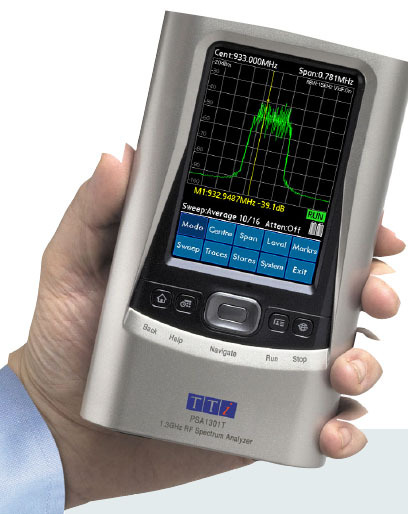 My new PSA-T Series portable spectrum analyzer manufactured by Thurlby Thandar Instruments in the UK. It is available from Newark Electronics, as well as Saelig Electronics (www.saelig.com), the importer, in the US for under $2,000. There are two models, Model PSA1301T covers the frequency range of 150 kHz to 1.3 GHz and Model PSA2701T covers the frequency range of 1 MHz to 2.7 GHz. While it does not have all the bells and whistles of a large, heavy, expensive analyzer it has more than enough for doing precompliance EMC measurements. I highly recommend it.